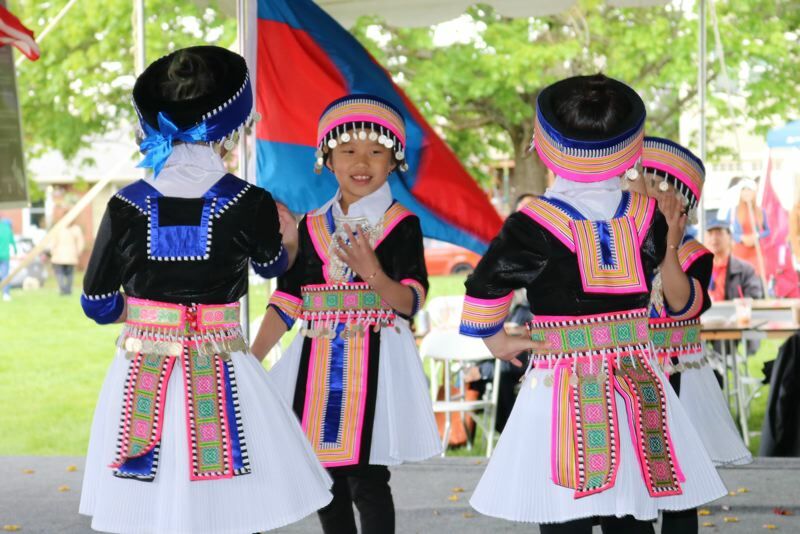 Saturday's celebration of Southeast Asian culture and community included food and traditional dance performances. Songkran, Pi Mai, Choul Chnam Thmey or Thingyan — no matter what you call it, there's no wrong way to ring in the New Year. Unless you forget the papaya salad. 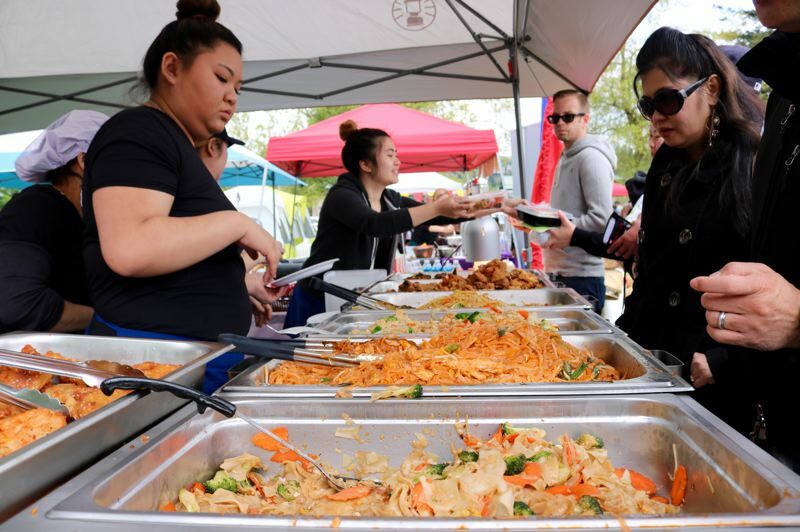 More than 5,000 people gathered for New Year in the Park — a celebration of the region's vibrant Southeast Asian culture and community — on Saturday, April 28, at Glenhaven Park near Northeast 82nd Avenue. "Fun is the main thing," said Saron Khut, who founded in 2014 the annual event that occurs across the street from his restaurant, Mekong Bistro. "We want more people, not just Asian people, but everyone to come and enjoy the experience. "Coming from Cambodia, there was nothing like this here. We needed something." While there are significant differences in traditions for Laotians, Cambodians, Thais and others, many Asians mark the New Year with a three-day festival starting on either April 13 or 14. The first day designates the end of the old year, while the third notes the beginning of a new one. The day in the middle is The Day of No Year. It's intended to be a a day of rest and relaxation, but that doesn't mean you can spend it catnapping. "By staying still, you will bring illness in the new year," said Happy Valley resident Vieng Bounnam, another key organizer. 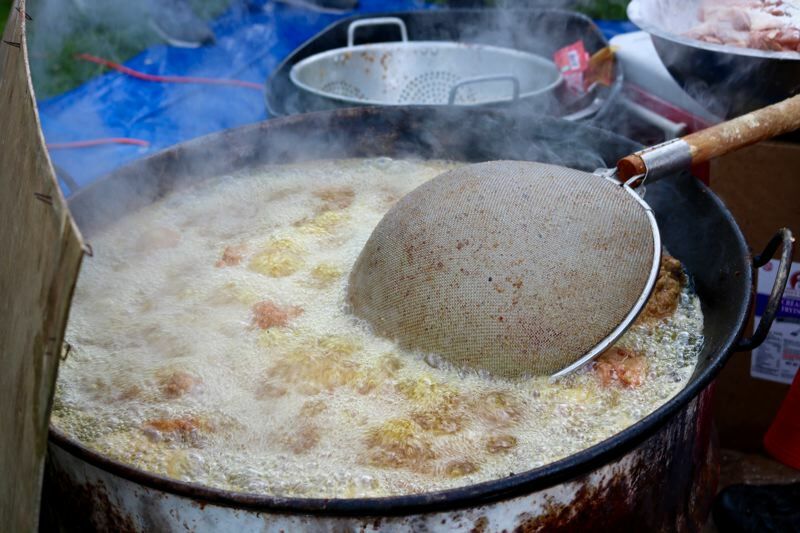 People attending the event could chow down on beef skewers and other cuisine cooked up by 12 vendors on site, while merchants sold authentic clothing and other imports during the festival that ran from 10 a.m. to 6 p.m. Dozens of dancing troupes, musicians and other performers entertained a large crowd seated under a tent during the day's festivities. 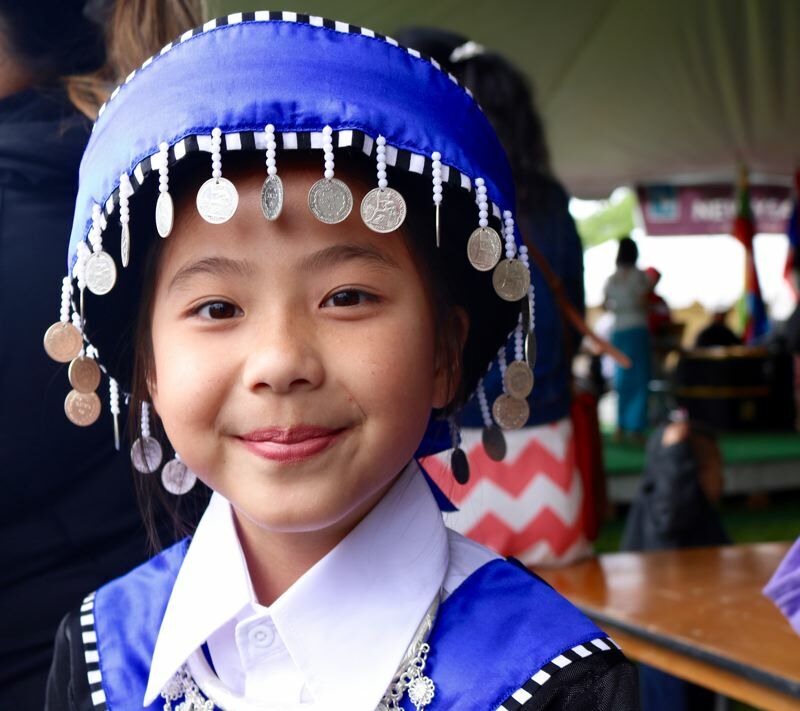 One who strutted on stage was Sadie Lor, a student at Hall Elementary in Gresham who said she "can't count how many times" she'd performed the traditional dance of the Hmong people. "I like dancing because it gets the exercises out of my brain," the 10-year-old said. "It's a lot more rigid but also beautiful in a slow, classic way," added Phoebe Woonprasert, a junior at St. Mary's Academy who performed a traditional Thai dance. "Portland is a very white city, so it's important for us to have this experience." Jimmy McAlear, who started playing violin when he was three, serenaded the audience with a traditional piece called Kang-Kol-Kin-Kui — known in English as "Bats Eating Bananas." "My mom wanted me to play it, and I started to like it after I heard the name of the song," the 13-year-old attending Beverly Cleary School said. "My family is in Thailand. We go back every summer." 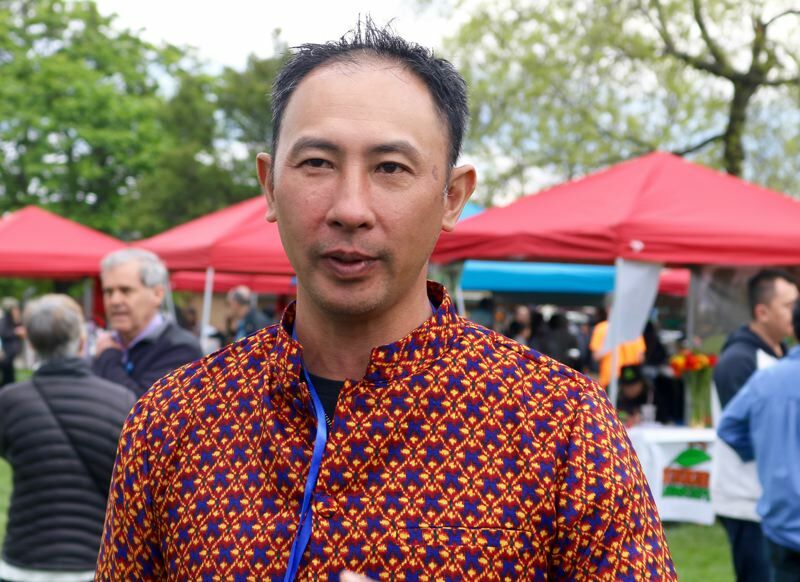 Major sponsors of New Year in the Park include Portland Parks & Recreation, Hmong American Community of Oregon, Mekong Bistro, Walmart, the Portland State University School of Business, Northwest Asian Sports, Foster Wealth Advisor and Diverse and Empowered Employees of Portland. New Year in the Park is already scheduled to return on the last Saturday in April 2019.